Writing up a business plan is an important part of your business. 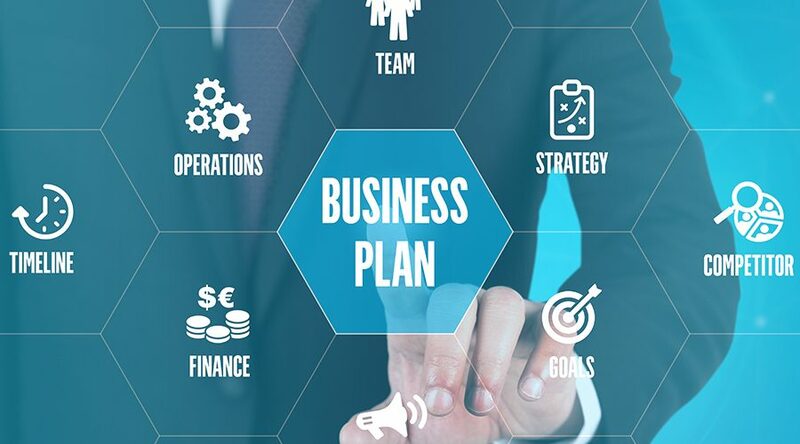 Since it’s so important, having business plan help may be very useful. From putting your ideas on paper to making it sound great and be grammar free, there’s a lot that goes into the business plan. This is why you may want to give the task to a professional business plan writer that does this on a regular basis. Keep reading to find out how to look for a business plan writer. Although it would be nice if the business plan writer could go into your brain and come up with the perfect plan, the reality is you need to explain yourself. That is why the first step is to plan it out yourself. Just like anything in your new business, you will ultimately be running the show. Have an outline written up (it doesn’t need to be grammar free, this is what the business plan writer is for) and quickly talk about the main points of your business plan in this overview. Talk about how you will measure success, who you need to employ, what financial investment will be put into the business, and what you should be made by the end of year one and the end of year five. The goal of the business plan writer is not to critique it. They are simply there to put what is going on in your head all down on paper in a professionally written document. The next step is going out and actually finding the person. It’s important to keep in mind a couple of items before speaking with business plan writers. The first and probably most important one is what their future plans are. If this is just a quick gig and then they are off on vacation for one month they may not actually get incomplete and you are left with a half-written business plan. Make sure the business plan writer has your best interests at heart and will be there to help until the very end is complete. What is your business niche? If it’s something specific, you may want to find a business plan writer that is familiar with that topic. If it is something very specific, many traditional writers, although great at what they do, will not know everything there is to know about your business and the exact words you may want to be using. The internet can be your best friend when trying to find a business plan writer. The first reason is that it can give you a long list of qualified candidates to choose from. The main reason is that you can look up reviews on different writers. If someone has had a great experience with a writer, chances are they want others to know about it. You can even Google the names of certain writers you may be interested in hiring to see what sites come up and what others are saying about them. If they have a lot of reviews, it’s okay for the occasional non 5 stars to appear, however, you do want a majority of the reviews to be good. With that said, you also want to read the reviews and see what people are talking about. Reading that the writer was a great listener to your needs and captures what you were saying perfectly is always a great sign. A 4 star that says they ultimately gave you a great piece but they were very hard to get a hold of at times should not be considered a great review in your eyes. This is your business, you need someone you can trust. Most business plan writers will have you sign a contract or pay some or all of the money up front. This is normal, but make sure look over the contract. In any case, contact is a great idea. It doesn’t need to go into a lot of detail, but you never want for them to finish and you realized that’s all you paid for and you thought edits were included. Be upfront about exactly what you need and make sure that is included in the contract. The last thing you want is to finish and make it a “he said she said” situation. The final tip we have is to make sure you shop around a little. Even if your friend recommended a great business writer, only have them in your top few choices, don’t just assume they are the best for your particular business job. Make sure when you are talking to the writer it is set up like an interview. How many other business plans have you written similar to mine? How long are most of the business plans that you write? What is the best way to communicate with you when going back and forth on drafts? What if I’m unhappy with the first draft? Could I see a couple of samples of your work? How long have you been a business writer for? How many business plans have you written before? These will all help you learn more about the potential business writer you are thinking about hiring. It’s also important to trust your gut when you are talking to them. Do they seem like they are rushing you? Although you want a business plan writer that has time for you, you also don’t want one that has so much time because they don’t have any other customers. With that said, you don’t want one that is so popular because they may rush through your business plan. It’s important to find a happy medium and speaking to them will help you decide this. Have you learned more about how to look for a business plan writer now? This is an important part of setting up your business, you don’t just want to pick the first person you find. Make sure you ask them questions before hiring them and have everything discussed before they start writing. For more tips on how to hire a business plan writer, contact us today!